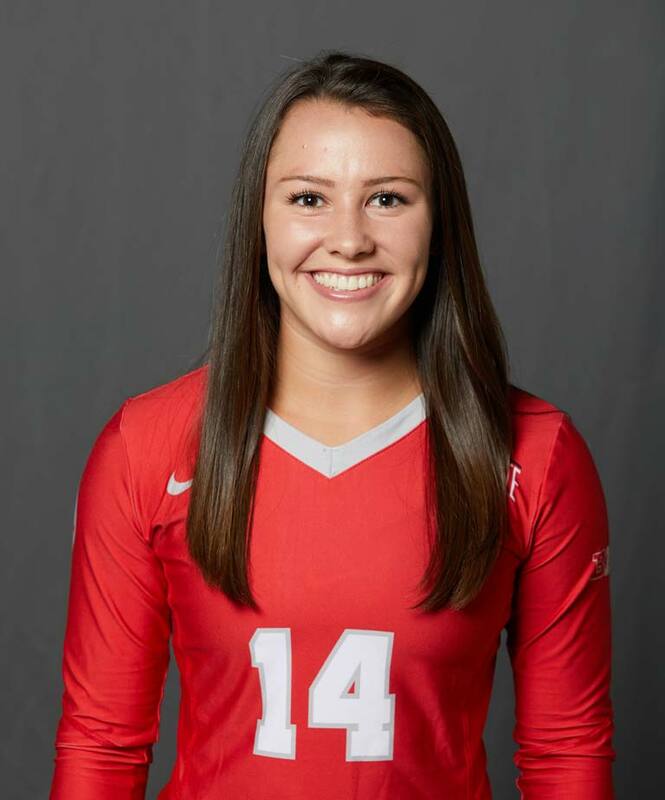 Hi, my name is Camry Halm, and I am a junior on the Ohio State Women's Volleyball team. Growing up in a town near Orlando, Florida meant I didn't know much about Ohio State before coming here. 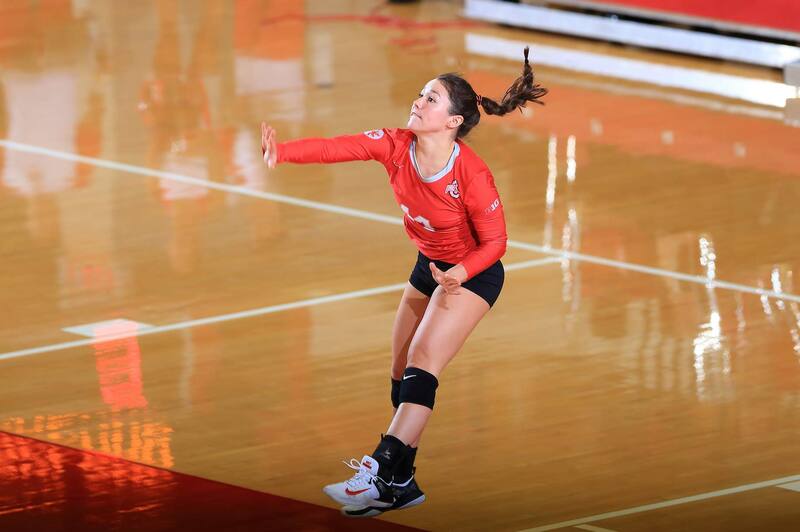 I knew I wanted to play in the Big 10 because it's one of the most, if not the most, competitive conferences for collegiate volleyball, and because of my love and passion for the game, I committed here. Three years later, I can confidently say that coming to Ohio State was one of the best decisions I've ever made. Ohio State has impacted my life more than I imagined it would. I am the first person in my family to attend college, so I didn't know what to expect, none of us did. Not only am I the first one to go to college, but I’m also going to graduate from one of the largest universities in the country, and play the sport I love. Thinking back to my recruiting visit, I remember wanting to be a part of Buckeye Nation. I knew I wanted to be a part of something so supportive and successful, and much larger than myself. I love the saying “Once a Buckeye, always a Buckeye" because I see it every day. If we are out for a team dinner or traveling through the airport in our gear, there is always someone yelling "O-H," and I love yelling back "I-O." Being a Buckeye is something that lasts forever. I have created a lifelong connection to the university and the people I have met so far. In my first couple of years at Ohio State, I have met some amazing people that have impacted my life. Starting college not knowing what to expect or not knowing anyone here was very scary but having the support of my teammates, athletic department, and all of the available resources around me made everything much easier. Ohio State athletics stands out from other universities because out athletes are at an elite level. We train harder and more efficient, and we have the best facilities, coaches, and fans. I believe we take so much pride in playing for Ohio State because we are known to be one of the best at every sport. Many young kids look up to us and dream of becoming an athlete at The Ohio State. There is so much history and tradition involved with being a student-athlete here, and I believe that is one of the reasons we all take pride in representing The Ohio State Univerisity. Since deciding to become a Buckeye, my life has changed. I have become a more mature, strong, and independent woman. Moving from Florida to Ohio was a huge step in my life, and I didn't realize how hard it would be. However, it has been that much more rewarding. I have met incredible people, learned many things, and experienced life living in Ohio. I have enjoyed the journey so far, and I can’t wait to finish my last two years.